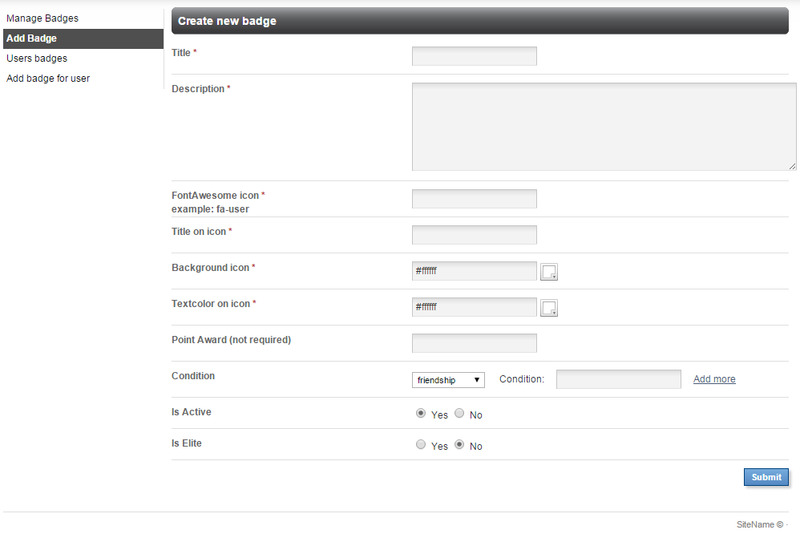 Badges 3.9 - plugin for PhpFox. 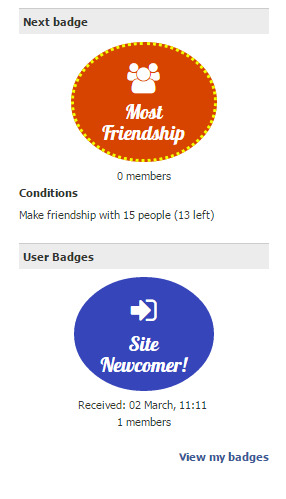 You have active users, and would like to encourage they? 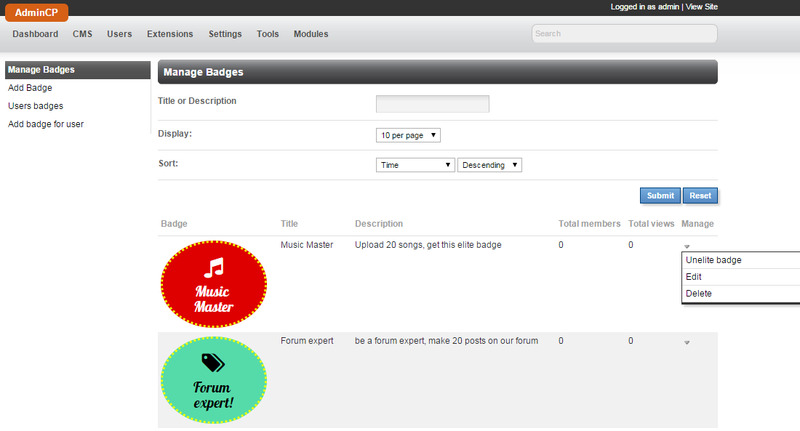 We are developed cool plugin - Badges! 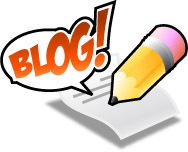 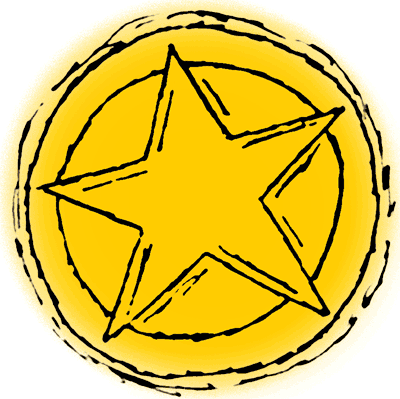 Now it is one of the key features of game play and rewarding in social networking. 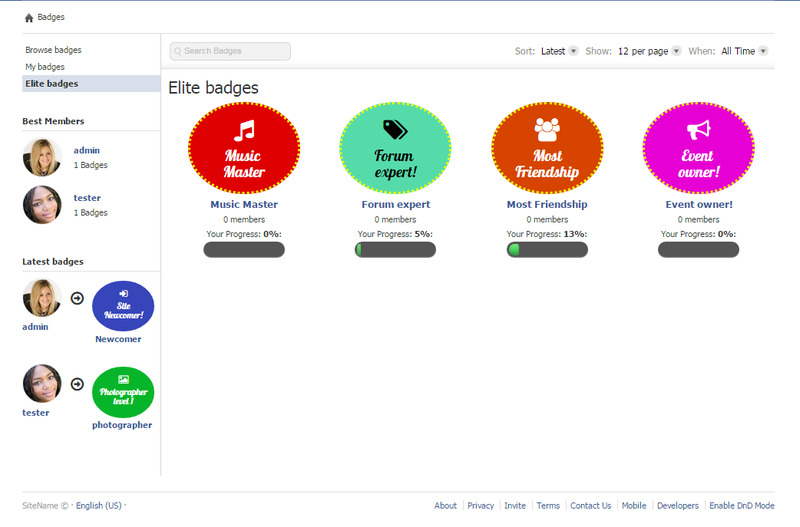 No uploading image!, just design you badge into admin area! 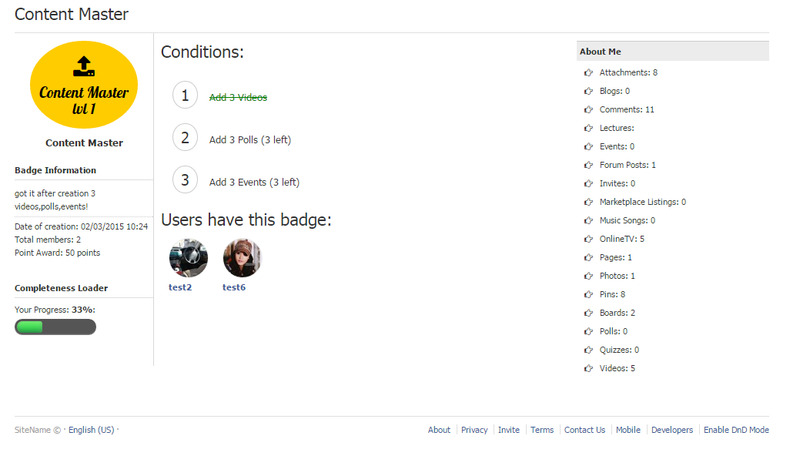 Support many custom plugins!. 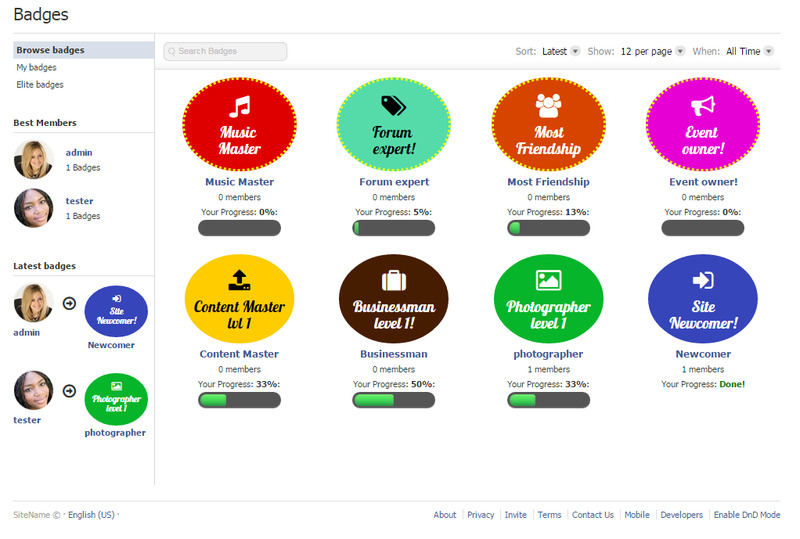 Start faster with 8 preadded badges!